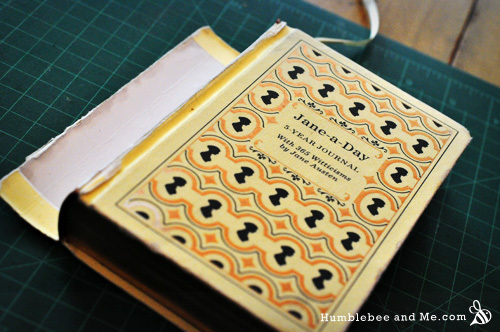 For Christmas 2012 I was given a cute little Jane Austen themed five year journal. This journal had a page for each day of the year, and each page had five slots so you could go through and write four lines a day for a year, and then flip back to January 1 and start all over again. 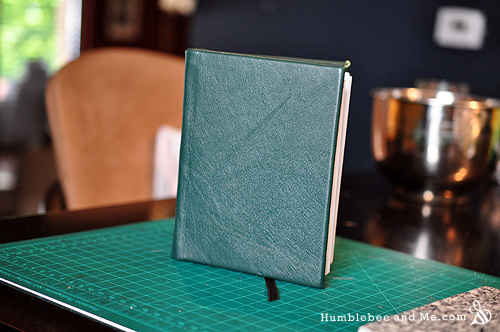 After 5 years you’d have half a decade of short, stacked journal entries for every day of the year. 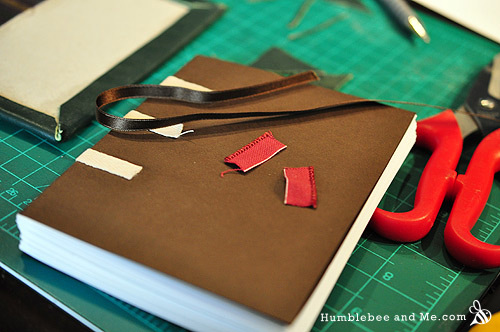 The final step of making a book, after you’ve got your book block all sewn up, is the cover. 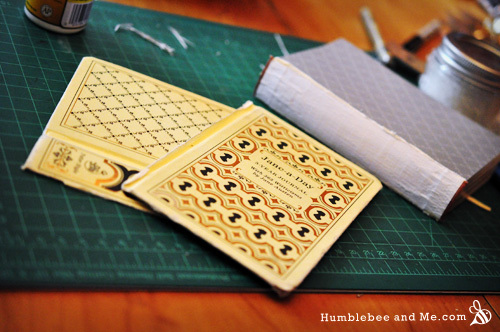 The cover isn’t hard, but it does require some finesse, attention to detail, and a lot of measuring. Let’s get started, shall we? The book block is the meat of the book; all the pages in the centre. They can be blank or printed—whichever suits your fancy. I’ll be working with blank pages here, but someday I’ll get around to detailing how you can set up your own designed book into signatures and print them for your entirely self-made book. 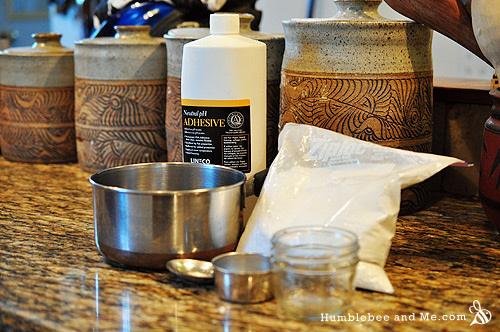 What I’m doing here is making a wheat starch paste and combining it with PVA (polyvinyl acetate, or plain old white glue). This achieves several things. It thins the glue so you can spread it thinly across the paper with ease. It also slows the drying time, giving you more time to work. 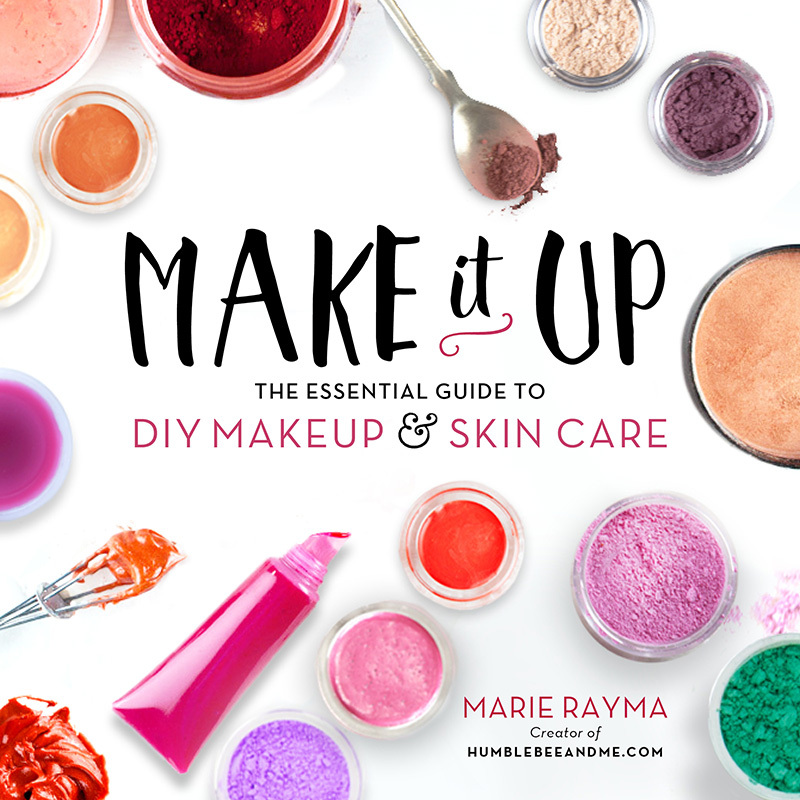 I find this especially helpful when I’m binding books or working with large sheets of paper that need to be entirely coated with glue before mounting them on something.